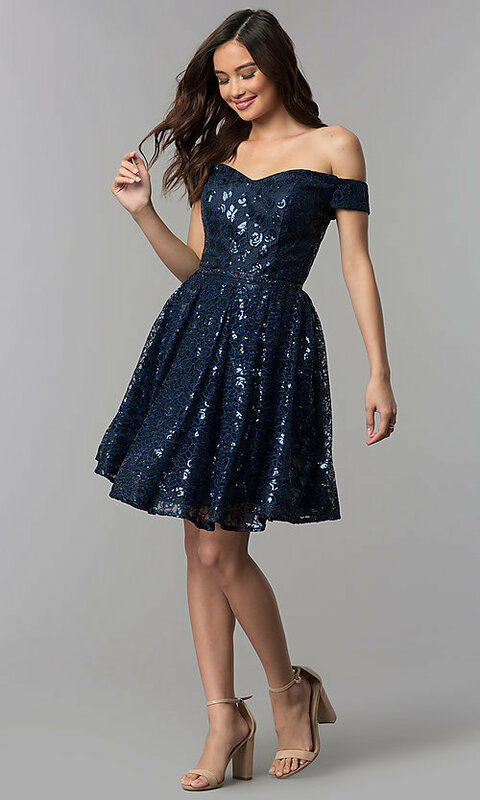 Shimmering sequins make this short navy blue homecoming dress a versatile style that's sure to wow the crowd at holiday celebrations, hoco 2019 parties, and other semi-formal events. 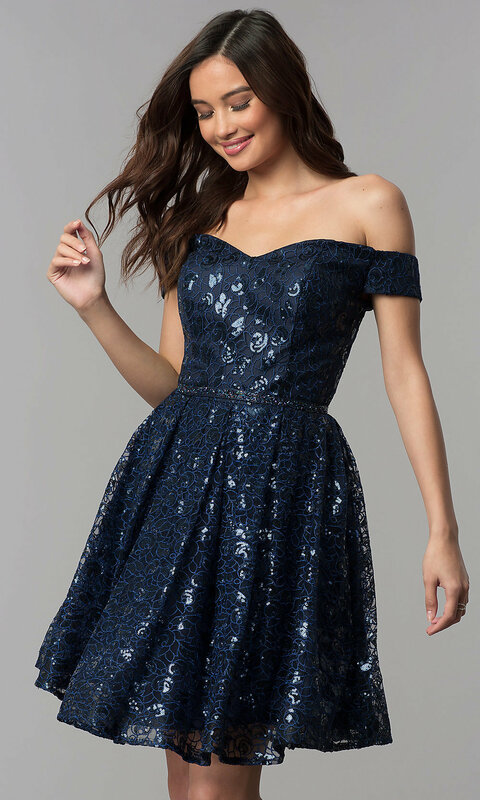 From the designers at Clarisse, this fully-lined short blue party dress combines swirling sequins and gleaming embroidery on the sheer overlay for a dazzling look. The trendy off-the-shoulder dress has a sweetheart neckline and banded short sleeves that drape alluringly over the arms. A band of tiny multi-colored beads defines the natural waistline, while box pleats and a tulle lining add volume to the full and fabulous short a-line skirt. 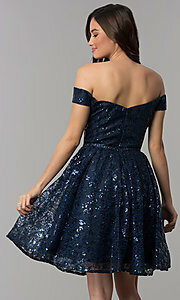 Create memories and sparkle under the lights in this sequined short navy blue homecoming dress.